‘Tis the season, my friends. As the clock struck midnight on Halloween and October evolved into November, we have started the transition from spooky times to holiday spirit. For many Christmas enthusiasts, Nov. 1 officially kicks off the holiday season. Some beg to differ and say that Christmas celebrations should not commence until the day after Thanksgiving or even later, but that’s no fun. Christmas deserves more than 30 days of celebration. How do you expect to fit everything from gift purchasing to holiday visits in less than a month? This is where pre-Christmas comes into play. From Nov. 1 to Nov. 30, you have a valid excuse to begin preliminary holiday activities. Why wait to decorate your dorm room or begin Christmas shopping in December when there is a whole month at your disposal? Pre-Christmas allows you to spread out your stressors across two months rather than one. Spreading out the holiday madness gives you more time to enjoy family and friends during the month of December rather than spending hours fixated on what you’re going to get your brother for Christmas. What about Thanksgiving? It’s still a holiday that falls on the fourth Thursday of November, but it is not a Christmas-centric holiday. In the United States, we glorify this day of borderline gluttonous behavior and guise it as a holiday to be “extra” thankful for loved ones. I agree with telling people you are thankful for them, but we should do that more than once a year. Thanksgiving is more so holiday for a big meal than a day of thanks. Not only is Thanksgiving a poor excuse to overindulge in fatty food, there is little holiday hype. For example, Thanksgiving decorations are basically just normal fall decorations on steroids. Food, football and family are the high points of Thanksgiving, and unlike Halloween and Christmas, it’s hard to dedicate a month to these aspects of the holiday. Sure, there is also the White House turkey pardon and the Macy’s Thanksgiving Day Parade, but those aren’t overwhelmingly exciting activities. It’s easier to put in place a pre-Christmas rather than a season of Thanksgiving holiday fun because just the mention of Christmas can change the tone of room. Even if you don’t celebrate Christmas, the holiday cheer associated with it is undeniable. 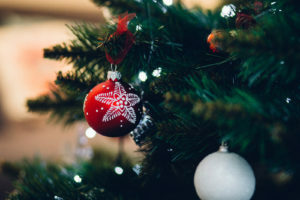 Pre-Christmas may be an excuse for Christmas enthusiasts to unleash the excitement they’ve been holding in since the year before, but it’s a movement all can get behind. It’s the most wonderful time of year, and if the festivities can begin earlier, why not? Pre-Christmas is the reason for the season, but if it’s not something you can get behind, that’s okay. No one will judge if you prefer turkeys and pilgrims over candy canes and ornaments. Well, I might judge a little.